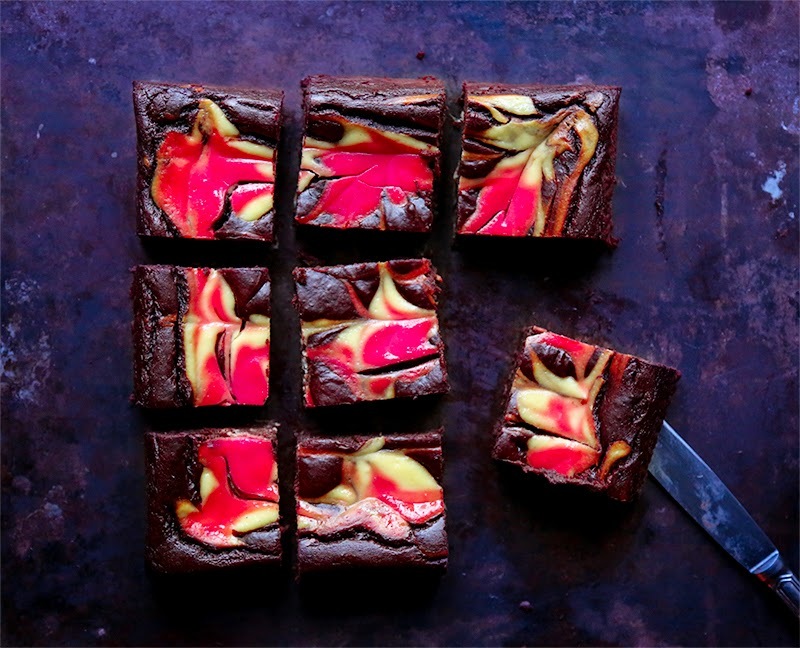 For those who, like me, missed the Asteroid flyby the other night, you can still get a bit of interstellar fun with this brownie recipe. 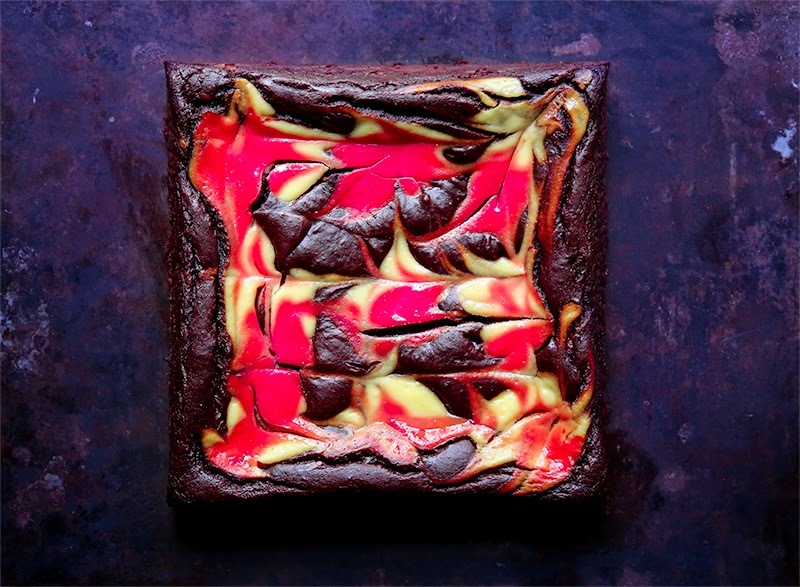 I was originally going for an upright decadent marbled brownie but then I changed my mind. I was just remembering a previous post talking about New Year detox tips that pushed me to make some minor changes in the list of ingredients. First, I needed to find a replacement for the 250g of butter for a better kind of fat, say a mix of olive oil and avocado (avocado was already a star ingredient in my poppy seed and avocado cake). Sugar is ok as long as it’s not refined, so I’ll use cane sugar and honey. Although I’m not a fan of the no-glu diet, I must admit that cutting down on processed and industrialised food that contain gluten can’t be a bad thing. So I’ll settle for black beans instead of flour. For the upper layer that will serve for the marble pattern, we need something rather smooth and creamy. I’ll go for ricotta cheese to which I add a bit of beetroot juice as natural colouring. So, the big question now is: how is this gonna taste? Well, not bad at all. I couldn’t even taste the avocado, the black beans or the beetroot are any other weird flavour. The only downside is the slightly moist texture that is not exactly what you’d expect from a brownie (but that can be easily fixed after a few hours in the fridge). 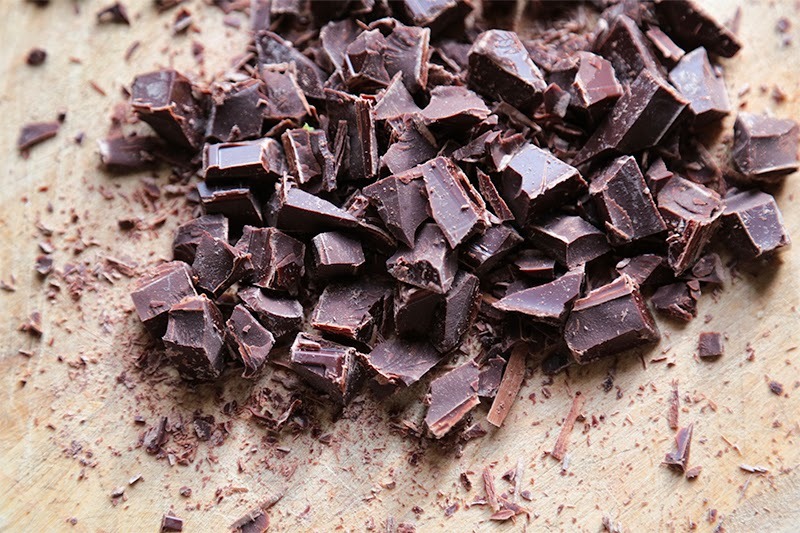 In a bain-marie melt together 200g of dark chocolate and the olive oil. In a large bowl, beat the eggs, then put aside and keep one spoonful of the mix that will be used for the marble crust. Add the sugar and honey to the eggs and mix until combined. 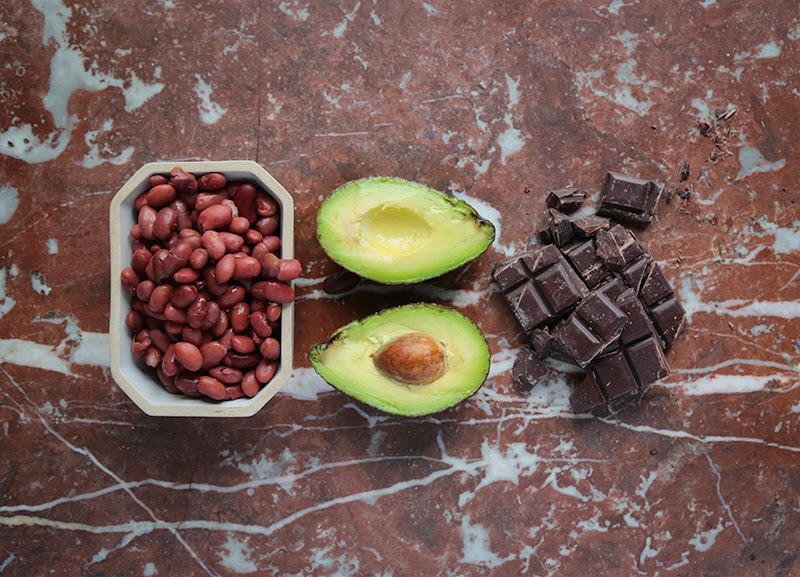 Now whisk the beans and the avocado until you get a smooth preparation without any lumps. Add to this the eggs and sugar, melted chocolate, baking soda and cocoa powder and mix it up some more. Cover the bottom of a cake pan with baking paper and fill it with the preparation. Now it is time to prepare the marble layer. Mix together the drained ricotta cheese, the egg that was saved in the beginning, the icing sugar, lemon juice and the cornflour. If you want to create another colour, simply take 1/3 of the preparation and add to it your colouring. When it’s well combined, drop by spoonfuls over the brownie and swirl with a knife (check the animation down below).